Platinum is often looked upon as a short-term fad, something that will go away in time, rather than a long-term trend and a permanent part of today’s fine jewellery culture. Why do we have these perceptions? One of the main reasons is that platinum, unlike most other precious metals, has a relatively short history. How long has Platinum been around? Platinum first surfaced in Egyptian times but only surged in Europe and the United States before the 20th century. However, during World War ll, platinum was declared a strategic metal and was disallowed for jewellery use. Today, Japan is the largest consumer of platinum jewellery. Yes, platinum does cost more but for good reason. Platinum is a purer metal than 14k or 18k gold, it is 60 times more rare than gold and it is heavier than any other precious metal. Platinum wears longer and needs less maintenance over the years. It does not tarnish and is not affected by most household chemicals, making it perfectly suitable for everyday wear. Platinum is extremely tough and durable, but it is normal for platinum jewellery (especially rings) to have traces of wear and tear, including scratches. However, unlike other precious metals, which gradually lose a slender layer over the years, platinum rarely wears out. If Platinum is so durable, can I have my ring sized? Platinum can be custom made, altered or sized by a qualified jeweller. It is different to work with as it has a much higher melting point than other precious metals. White gold is cheaper, why shouldn’t I buy it instead? Both white gold and platinum are white metals, but a closer look will show platinum as whiter in colour, whereas white gold will have a faint yellowish tinge. Platinum also feels very different – it weighs 60% more than 14k gold. Are Platinum and white gold similar metals? They are not related! When platinum emerges from the ground, it is naturally white. Platinum stays naturally white throughout the years with no added maintenance. White gold, on the other hand, is simply yellow gold that has other alloys added to make it appear white. White gold often must be rhodium-plated to make it appear more platinum-like. Rhodium is a member of the platinum family and it does make white gold appear more platinum-like. Can I wear Platinum if I have allergies? Platinum is hypoallergenic and is used extensively in the medical industry. This is good news for people with allergies to nickel which is often found in gold. How should I care for and clean my Platinum jewellery? Platinum jewellery should be cleaned the same way you clean your other jewellery. Your jeweller will clean it professionally and can restore the shine by polishing it. Is Platinum the most secure metal to set my diamonds in? Platinum is one of the strongest natural metals. 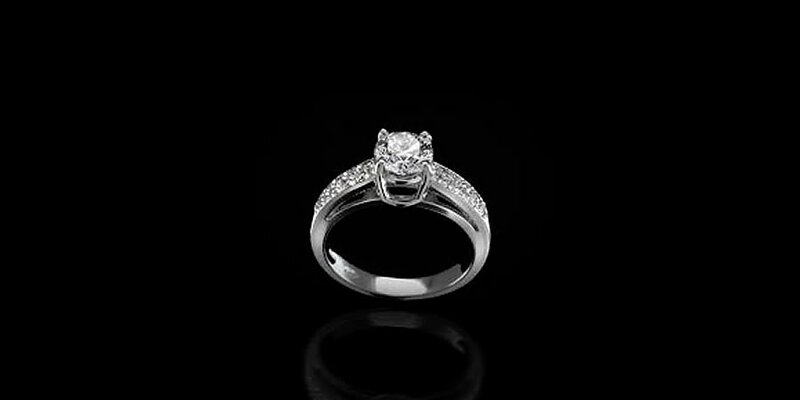 Because of its density, platinum claws are less “flexible” and therefore hold diamonds more securely. In fact, the world’s most precious diamonds – the Star of Africa and the Hope are securely set in platinum. Fads come and go – remember Pet Rocks, Teenage Mutant Ninja Turtles and Beanie Babies – but platinum is a permanent part of today’s fine jewellery market. Platinum’s natural white colour complements gold’s natural yellow and combination pieces are being seen more often in discerning wardrobes around the world. Valentine Traditions Around the World Know Your 4 Cs When Diamond Shopping!